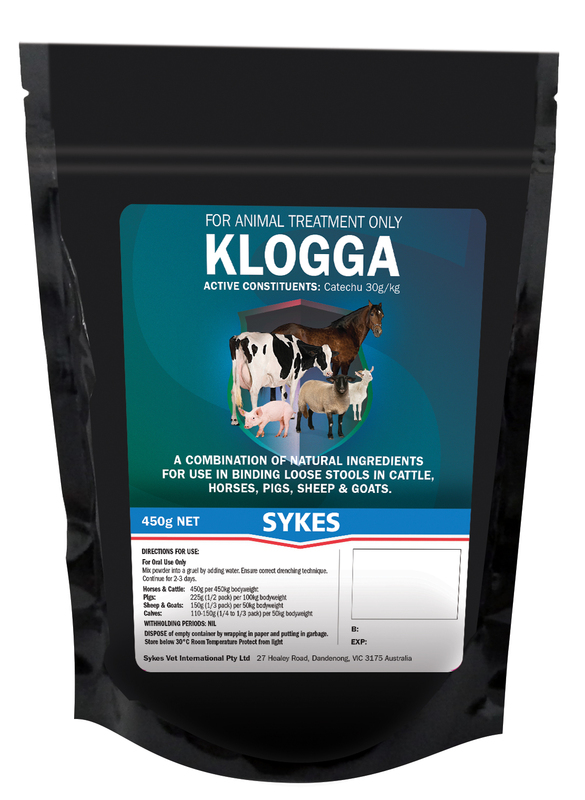 A combination of natural ingredients for use in binding loose stools in cattle, horse, pigs, sheep and goats. When should I use KLOGGA? How do I use KLOGGA? Mix powder into a gruel by adding water.